Adding three-digit numbers doesn’t seem to be a difficult concept for many children. Make it subtraction, however, and we create some difficulty. 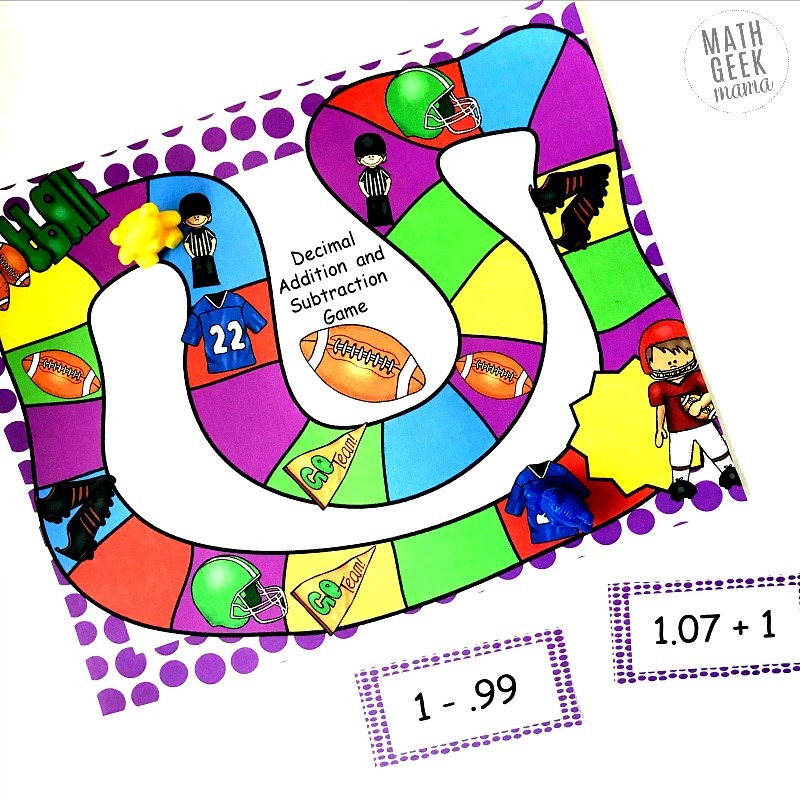 But add a decimal in there and it can throw some kiddos for a loop. 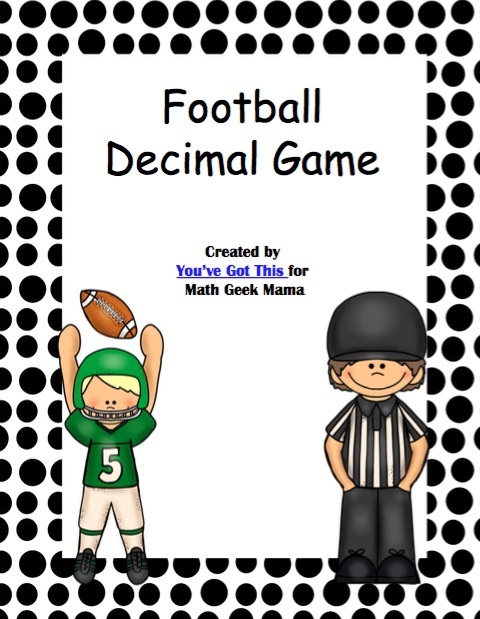 As in teaching any concept it is important to build that background knowledge of what decimals are before we begin to introduce adding and subtracting. Just as we want our younger ones to understand what the ones place is verses the tens place, our upper elementary children need to understand the difference of tenths and hundredths. My favorite way to introduce decimals are with base ten blocks. Since decimals are based on tenths and hundredths, base ten blocks are easy to use. 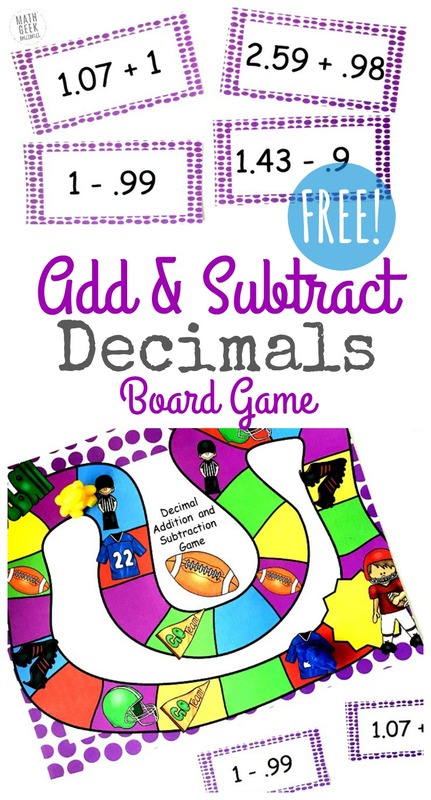 See more decimal games here. . The important part is to change what one equals. When working with young children we know that a cube always equals one. Now we may say that a flat or 100 cubes equals one. With that change, our longs equal 10ths….it takes 10 of them to equal the whole. And our cubes equal 100ths…..as you now need 100 cubes to equal a whole. Using base ten blocks and money at the same time is another way to build connections. If our flat still equals one, it can also equal one dollar. The longs are the same as dimes, and the cubes are pennies. 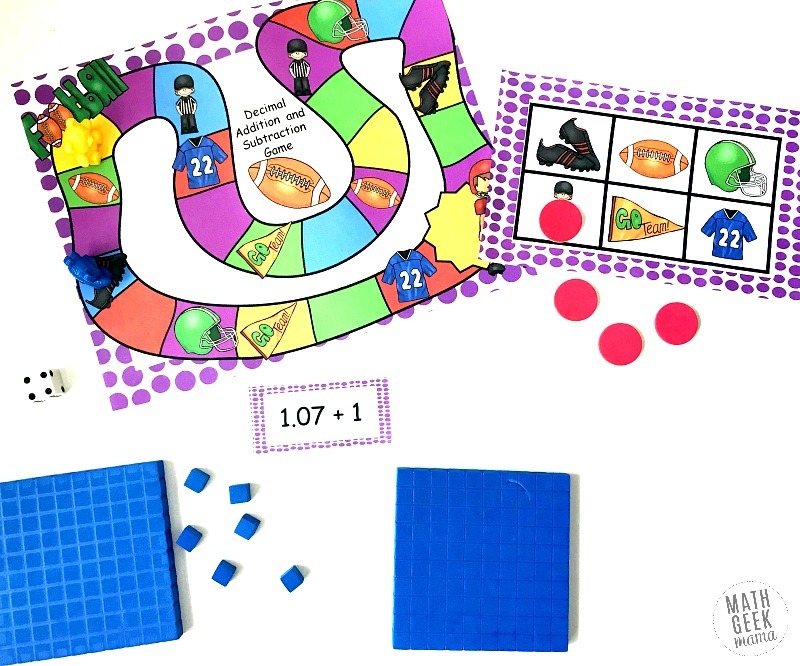 Now comes the fun part, letting children add and subtract decimals with the manipulatives. 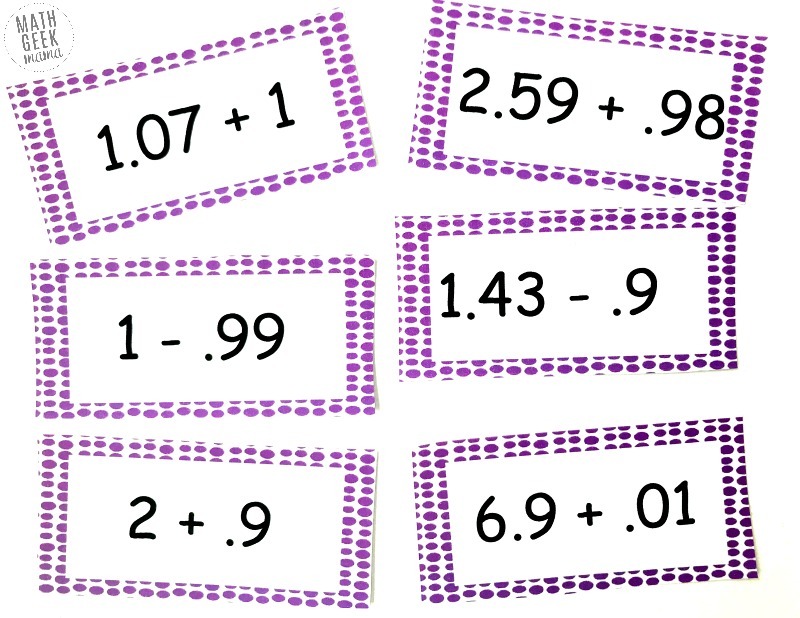 The biggest mistake children make is not lining the decimals up correctly, but if we begin our unit focusing on the place value of each number this mistake won’t happen quite as much. Let’s say we have the problem 1.3 + .45. Begin by asking the children to take out 1.3 base ten blocks (a flat and three longs), then have them get out .45 (four longs and five cubes). Now all the have to do is count them up. They have one flat, seven longs, and five cubes. That equals 1.75. Subtraction isn’t that much harder when the focus is on modeling. If our problem is 1.8 – .43 all we have to do is take out one flat and three longs. The children should begin by realizing that they can not take away three hundredths, because there aren’t any. Hopefully, they have a basis in subtraction with regrouping and know that all they need to do is substitute one long for 10 cubes. Now all they have to do is take away three cubes and four longs. With that done, they will realize that they have 1 flat, 3 longs and 7 cubes to equal 1.37. 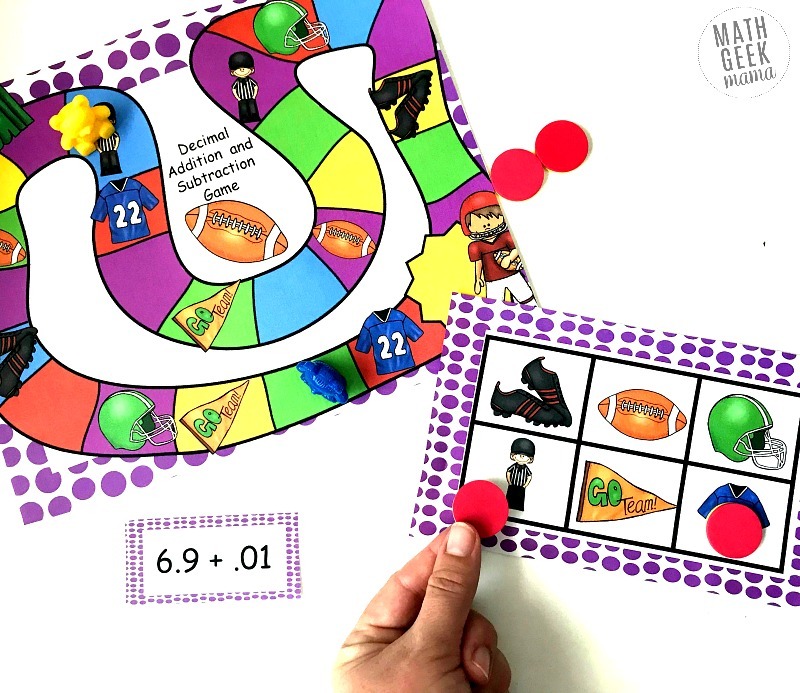 First, print off game boards, BINGO sheet, and decimal problems. To make them front and back print use page 9. Next, cut out decimal problems using the front. (The back is larger so if you cut them out using the front, everything will line up correctly). Grab game markers and a calculator. First, children place a game marker on the yellow star. The children role the die and then move to the left. If they land on a blank color square nothing happens. When they land on a picture they draw a decimal card and solve the problem. The other player checks it with the calculator, and if they solve it correctly they may cover up that picture on their game card. NOTE: If they already have the picture covered they must correctly answer the problem to keep the picture covered. Players take turns and go around the board until all pictures are covered, or three pictures in a row are covered. The first to complete their game card wins! Enjoy this fun time of practice with your kiddos! I have been checking this download since Nov. 13, until today it’s still not available for download; therefore, I decide to send this message to you. It’s been fixed. Sorry about that!